Disclosure: This is a sponsored post on behalf of 3-2-1 Framboise. However, my love of this product is 100% mine. 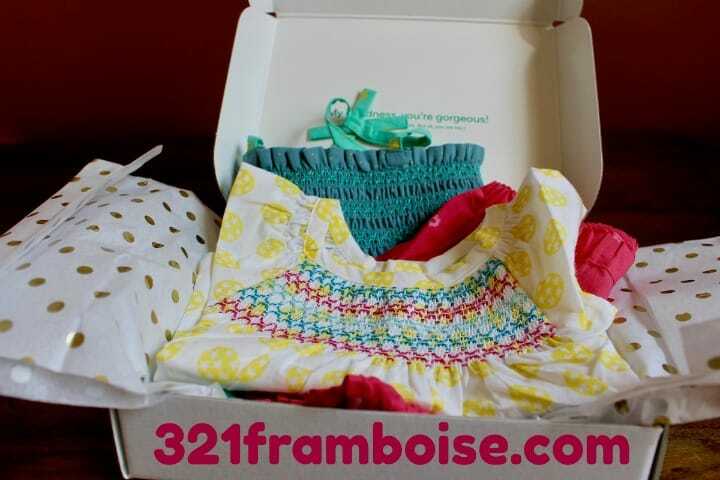 3-2-1 Framboise is THE Premier European baby Clothing Subscription box. This fun box is ready to bring your little one some amazing clothing straight to your home direct from Europe. Founder Celine Hakoun had the fun idea to start this line of boxes when her son was born. Family and friends from Europe were sending her boxes filled with awesome clothes she’d never seen elsewhere. Fun, comfy, and practical. Why couldn’t all parents in the US get these care packages filled with clothes, too? 3-2-1 Framboise was born! The European Baby Fashion approach is simple,Babies should be fashionable and comfortable. And parents should be able to throw everything in the wash 10 times a day without damaging the fabric, because – let’s face it – that’s all parents do for the first year anyway… You can read about their brand selection process here. 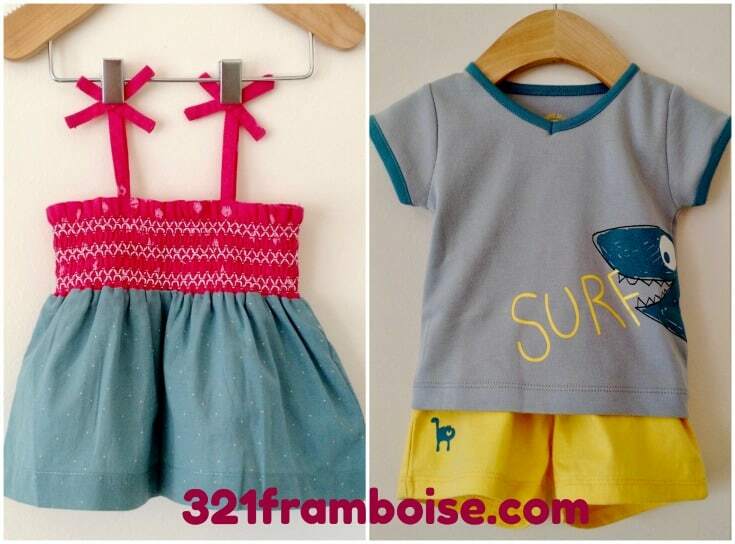 You can find 3-2-1 Framboise for both baby boys and baby girls in sizes 3 months – 18 months.To order you simply select to receive 1 or 2 outfits every month. Then, take a style quiz and answer a few questions about Baby’s stats. Congrats! 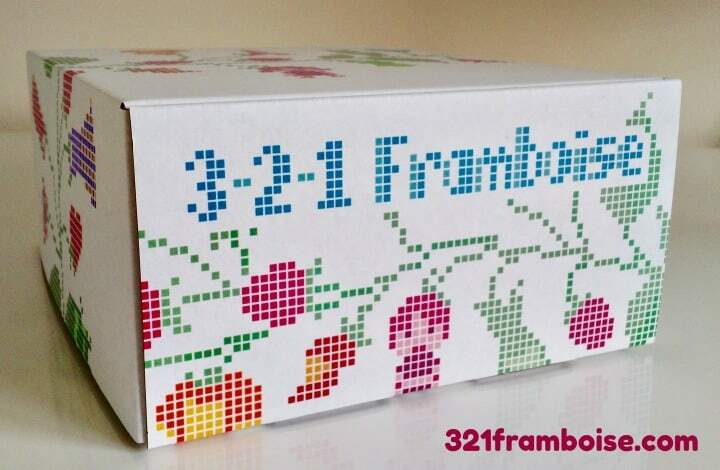 You’re a member of 3-2-1 Framboise.Every month before they ship, you are given the chance to take a peek at your next box. Want to be surprised? No problem! Just wait patiently for your box to arrive…harder said than done, right?! Because you’ll receive quality clothing that will stand the test of time with your little one these outfits will not only look fantastic from the moment your little one wears them, but they’ll be perfect if you decide to pass them off to their siblings making this a true investment. Hi Erica! Well, yes the baby would look great in these outfits! 😉 Good luck! I would like to win this for my 2 year old daughter. Hi Jessica! Crossing my fingers for you! I want to win this box for my best friend. So excited to win for my daughter who is baby planning…she will just fall in love with the uniqueness of this clothing line! Hello Natalie! 😀 congratulations to your daughter on planning for little one. Can’t wait for her to discover our boxes. Good luck with the giveaway! Hello Victoria! Oooh, Miles, what a lovely name 🙂 Crossing my fingers for you. Hi Kathy! Your grandson would look dapper in these clothes. Good luck! I couldn’t agree more with the first line about style and comfort. Babies need to be comfortable so quality matters a lot when choosing their clothes! Also they outgrow soon so as you said it would be nice to pass these little cute outfits along to the siblings n so on! It would be great to have those adorable pics at various ages with the same outfit! I would love to win this for my son and cousins! Hello Vidya, and thank you so much for the comment. We absolutely agree: comfort is key. Babies learn and explore every day. They should be free to move naturally in their clothes with fabrics that are soft. Glad that you like our concept and agree with our philosophy. Thanks again for the note and good luck with the giveaway! Hello Nicole and good luck for your granddaughter! I would love to win this for my niece! I love this box the clothing is both classic and on fashion point today. Oh sweetness & light! Hi Angelehm! Thank you so much for the compliments on the clothing we have in our boxes. So happy you like them. Good luck with the giveaway! Hello Cathy! Thank you very much for sharing the giveaway. My niece is having her baby in September. I would love to win this for her! Hi Marlene! Congratulations on the new baby coming into the family. Good luck with the giveaway! Crossing my fingers for your baby cousin Calvin! …for my godson – thanks! Hello Andie! He’s a lucky godson 🙂 Good luck on the giveaway. Awwww yay! Congratulations on having a great granddaughter! Definitely a special little one. Good luck! Good luck with the giveaway Kristin! I would love to win it for my grandchild. Hello Janet! Lucky grandchild 😀 Good luck! Would love to win for my six week old! Oh my goodness! Six weeks, that is one little tiny monkey. Congratulations on your little one! And good luck with the giveaway. Hello Linda! Crossing my fingers for you. Good luck! Hello Tamber! Thank you for the compliment about our clothes. We totally agree, your daughter would look super cute in them 😉 Good luck with the giveaway! I would love to win this for my little boy. Thanks for the chance! Hi Erika! Glad you entered the giveaway. Good luck! We are trying for #2!! Id love to win this for us and hopefully it would bring us baby dust! I would love to win this box of outfits for my daughter ?? Oh your daughter would look so cute in our Summer Collection! Good luck with the giveaway! For my nephew who is two months old. Two months old, that is so tiny! Crossing my fingers for you Deborah. I’d like to win for our rainbow baby son that’s on the way! Great review and line! Thank you for the compliments about our service! Glad you entered the giveaway. This will be for my baby girl Camille ? She’s 6 months old!! Thank you for the compliment about our clothes, Melissa! Good luck! Congratulations on your soon-to-be first grandbaby, Irene! Good luck with the giveaway! Hi Lynda! Glad you like our styles. Good luck! These would be perfect for my 2 year old girl and 6 month old baby! Thank you for entering the giveaway! Good luck! I would love to win this for my 6 month old son. Gorgeous! Hello Danielle! Thank you for the compliment on the clothes 😀 Glad you entered. Keep your fingers crossed!